While "reading more" is probably one of the most popular goals people have, few actually do something to achieve it. To help you reach it this time around, follow the tips below. To make the general goal more achievable, you need to set other more specific, doable, yet challenging goals that will give you direction and motivation. If you want to stay accountable for your goals, you should let other people know that you have them. They may even give you more tips on how to succeed. You can't read if you don't have any reading material with you. That's why you should carry a book everywhere you go. You should also try reading more than one thing at once. This way, you can jump from one book to the next depending on how you feel like reading. "Reading more" can also include reading new material. 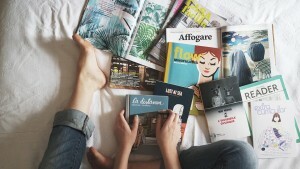 Read the newspaper, magazines, biographies, interviews, and more, to find new things. Something to keep in mind is that you shouldn't force a book. If you're not feeling it, quit so it doesn't derail your reading goals. Luckily, in this day and age, there are various reading platforms you can employ to reach your goals. For example, you can read on your phone, on your tablet, or through an audiobook. Finally, consider sharing what you read. Doing so will make reading a more social, enriching, and enjoyable experience, which may help you want to do it more. Call The Tutoring Center, League City TX at (281) 337-2800 if you require academic assistance to become a better student and reader through one-to-one tutoring in League City TX.